* Their ability to handle day-to-day responsibilities. * Their ability to master new tasks. * Their ability to create innovative solutions to complex challenges. * Their ability to adapt to rapidly changing circumstances. While it’s never phrased quite this way, here at TLO we think this means that successful adults are characterized by their ability to make use of fully realized, high quality experiential learning skills; i.e., people who know how design, launch, and implement their own learning. To fully understand what we’re suggesting, and why, you at least need a notional framework that helps you put some conceptual “meat on the bones” of the idea of experiential learning. Below, we offer three propositions that begin to describe and illustrate such a model. The best way for us to introduce you to experiential learning is to offer three of TLO’s basic premises. 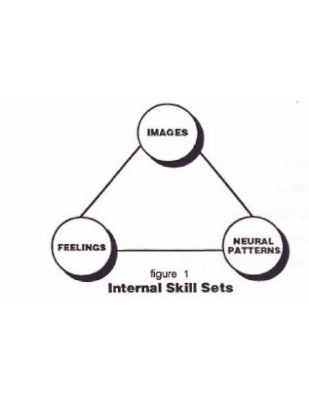 We’ve developed these three from the original research David Kolb published in 1984 (i.e., Experiential Learning: Experience as the Source of Learning and Development). We've synthesized his discoveries and insights into propositions that describe the learning steps required to change any of your existing behavioral skills. And to develop new, more effective ones. Typically, people tend to think of learning as activity that’s aimed at helping them acquire facts and figures about a specific subject. To learn is to acquire new information. Actually, real learning, learning that improves and strengthens your ability to relate to others and navigate the worlds you’re living and working in, is more complex than simply grasping assorted facts and figures and other relevant pieces of information. Without question, new information is an important part of learning. But, by itself, acquiring new facts and figures will never help you create the behavioral changes and/or intellectual growth you’re after. To develop new work and life capabilities, it seems we must engage our perceptions, emotions, and attitudes. Real, sustainable learning requires a form of exploration that every step of the way rests on and requires an awareness of our moment-to-moment feelings, perceptions, beliefs, and values. No adult is a blank slate. None of us -- not me, not you, not anyone -- comes fresh and new to the learning of anything. Because we’re adults, we’re forced to come to our learning efforts carrying inside our brains, minds, and bodies a vast network of pre-programmed knowledge structures. Everything you know and everything you can do is hardwired into your brain, mind, and body as complex, tightly woven sets of feelings, attitudes, and behavioral patterns (See Figure 1). One way of imagining this is to picture these knowledge structures as integrated triangles of feelings, images, and neural patterns that, when woven together, enable and prompt you to produce the skilled behavioral routines you use to navigate you way through your life. Proposition 3: Effective Learning is a Sequential, Cyclical Process. To actually change your brain’s hardwired existing knowledge structures, you need four distinct competencies: The ability to act; the ability to observe, reflect on, and evaluate your experiences; the ability to reconceptualize, recontextualize, and reframe these experiences; and the ability to experiment with new behavior when needed. First, you have life experiences that you become conscious of. Second, your awareness of these experiences provides you with memories and images that you observe and reflect on. Third, from these reflections, you pull together significant aspects of your experiences into rudimentary theories; from these you deduce new implications for action. Fourth, these hypotheses then serve as guides for your experimenting, which, in turn, takes you back to your immersion in new experiences. Here at TLO, the bottom line is this: If you're seriously interested in developing the fully realized, high quality experiential learning skills you'll need in this increasingly complex world, you will have to learn about your strengths and weaknesses as a learner. Then, you'll have to learn how to use this knowledge to develop your own personal experiential learning skills. When you know how to organize your own learning efforts, your day-to-day experiences become a laboratory that you can use to consciously test and explore new ways of seeing, thinking and feeling. You can simultaneously examine, explore, and compare multiple ideas. Learning no longer is a special activity reserved for the classroom. It becomes an integral and explicit part of your work and your life. Take the brain. For more than two centuries the best scientists have assumed that, after childhood, our brains were fully formed and really did not, could not change. It turns out nothing could be further from the truth. Or, take learning. Since Socrates, the best educators have always assumed that learning is all about the acquisition of new facts and figures. Learning involves the absorption of new knowledge. Again, nothing could be further from the truth. Finally, take our identity, our sense of who we are. Since forever, the best philosophers, scientists, and educators have all assumed that our identities are singular, atomistic, solitary. Like our brains, our personal identity after adolescence is stable and unchangeable. As Popeye so famously says, I yam what I yam. Again, nothing could be further from the truth. Dr. Boyd’s paradigm-busting insights come from her investigations into our brains’ neurophysiology, if you will, from the functioning of our nervous systems. It’s this work that's shown her how and why the structure and function of our brains aren’t fixed, why real learning isn’t actually about the absorption of “new knowledge,” and how, like our brains, our identities are not fixed and unchangeable. Popeye’s mantra shouldn’t be I yam what I yam. Rather, given the new insights and ideas Lara's neuroplasticity research is bringing us, Popeye ought to be saying, I yam what I yam wanting to be. Our first suggestion would be for you to listen to Dr. Boyd’s talk. More than once, in fact. The adventurous, paradigm-busting meaning of Dr. Boyd’s talk creeps up on you, a little bit at a time. Let the implications of this talk sneak up on you. Changing the nature of the chemical signals that are moving between the neurons in your brain. Catalyzing new neuronal connections found in your short-term memory's key neurological networks. Reorganizing the structure and function of chemical and electrical activity going on in specific regions of your brain. Our third suggestion? If any of this interests you, contact us. We’re putting together a small group of like-minded thought partners who want to begin exploring what and how this new science of neuroplasticity can help us. Let us know what you’re thinking. Sell your cleverness, buy bewilderment. Rumi, the 13th Century Persian scholar, wrote this short poem. It’s one of his more mystical exhortations. Type this sentence into Google, and you’ll immediately discover the rich, rewarding world of interpretations and perspectives that Rumi's entreaty evokes. Here, in this blog on learning partnerships, we’re sharing Rumi’s entreaty with you as a way for you to frame the insights Etienne Wenger is offering in this YouTube video. Dr. Wenger is one of the world’s foremost authorities on learning partnerships, especially professional communities of practice. And here, with Brantlee Underhill, he’s explaining the importance of having both a "place for engagement" and a clearly defined "learning community" as key features of the “long term connections” that we, as adults, need if we’re truly going to learn. Dr. Wenger is worth listening to. In a few short minutes, he highlights three or four important learning partnership issues. But, for us, his discussion of learning partnerships is too clear-headed, too rational to fully convey what our experiences with learning partnerships have been. So we’re adding a touch of Rumi at the beginning to round out, deepen, and enrich the sense and feel of Wenger's observations. Rumi’s phrase, Sell your cleverness, implies that authentic learning is something that can never be completely realized through the simple acquisition of new information. Rather, authentic learning flourishes in the real world only when we each loosen our appreciation of facts and figures, and allow ourselves to "Buy the bewilderment" that is always part of our confusions, frustrations, and doubts. To truly learn anything, we need to be willing to struggle with our own emotional realities until, out of the skirmish, we fashion new ways of thinking and perceiving. This is the kind of emotional breadth and depth that contemplating Rumi’s short poem can add to the story Dr. Wenger is telling when, in the video above, he suggests that effective learning happens for us when we, in the presence of others whom we trust, are courageous enough to “bring our questions and our challenges” into what he calls a community of practice. What we're calling a "learning partnership."